Marijuana is back in the news here in Delaware. Our state’s first Compassion Center is set to open later this month and legislation decriminalizing the sacred herb has been signed into law by Governor Jack Markell. Delaware is by no means unique-it is part of a national trend towards decriminalization and even legalization occurring at the state level across the nation. However, as far as the federal government is concerned, marijuana remains illegal. Essentially, America is becoming a veritable patchwork quilt of differing, and inconsistent approaches-a situation that is creating headaches for employers, particularly those with national or multi-state operations, striving for consistency and uniformity in their drug policies. A recent case from Colorado, Coats v. Dish Network, LLC, illustrates the conundrums employers now face. Brandon Coats, a quadriplegic who suffered from painful muscle spasms as a result of his condition, began working for Dish Network as a telephone customer service representative in 2007. Subsequently, in 2009, he obtained a Colorado license to use medical marijuana. The next year, a random drug test revealed the presence of THC metabolites in his system, and his employment was terminated in accordance with Dish Networks drug policy. Significantly, there was no allegation that Coats ever used, or even possessed, marijuana in the workplace. Coats sued Dish Network, relying on a Colorado statute that prohibits employers from discharging employees for “lawful activities” outside the workplace. In Coats’ view, Dish Network was prohibited from penalizing him for smoking medicinal marijuana lawfully under Colorado law during his free time. Dish Network disagreed, and argued that Colorado law didn’t apply because smoking marijuana was still unlawful under federal law. Surprisingly, the Colorado Supreme Court agreed with Dish Network, concluding that the term “lawful activities” wasn’t restricted to those permitted under Colorado law but instead also encompassed federal law. As a result, because marijuana use remains illegal under federal law it could not be a “lawful activity,” and Dish Network was free to fire him based on the results of the drug test. Obviously, the decision isn’t directly applicable to Delaware- we don’t have an analogous provision to Colorado’s “lawful activities” statute in our law and medicinal marijuana cardholders are protected directly in other ways. 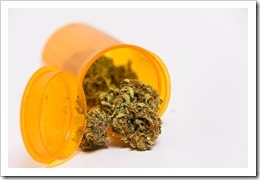 For example, under Delaware law although employers are not required to permit cardholders to possess, use, or be under the influence of marijuana in the workplace, a cardholder “shall not be considered to be under the influence of marijuana solely because” a drug test reveals “the presence of metabolites or components of marijuana” in their system. As a result under Delaware law, the mere presence of THC in Coats’ system would not have been a lawful basis for terminating his employment; Dish Network would have also had to demonstrate that he was “under the influence”- a tricky proposition for employers given the lack of agreement on generally accepted standards for measuring marijuana impairment. Coats v. Dish Network, LLC, 303 P.3d 147 (Colo. Ct. App. 2013). This entry was posted in Cases of Note, Drug Testing. Bookmark the permalink.